The question that comes to mind as Africa’s model mega city contends with waste dumped by its residents indiscriminately on highways and major roads is: what is responsible for this unwholesome state? Lagos with its rapid urbanization, infrastructural development and good governance, is a victim of its own success. The population of the state, which is estimated at around 22million-and is still growing, continues to receive boosts from ceaseless migration from the hinterland and the West African suburbs. 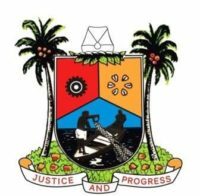 As the country’s commercial hub, Lagos houses about 2,000 Industrial complexes, 15,000 commercial ventures and a bourgeoning middle class with high purchasing power. Since inception of the present political dispensation in 1999, successive administrations have consistently developed critical infrastructure and taken decisive steps to enhance the ease of doing business with the result that Lagos remains attractive to investors, entrepreneurs, as well as those seeking greener pastures. The downside to all these is not just the pressure on public infrastructure but the growing challenge of managing municipal solid waste emanating from the immense domestic, commercial and industrial activities in the state. According to the World Bank, the generation of solid waste is tied to population, income and urbanization. If the report by this body which puts per capita waste generation rate at 1.2 kg per person per day is anything to go by, waste generated in Lagos far outweighs the official figure of 13,000 tons per day. Also, the fact that the per capital waste generation has been projected to rise to 1.42 kg in the next fifteen years presents a serious cause for concern. This concern is succinctly put by Prasad Modak in the Shangai Manual when he avers that: cities are at the nexus of a further threat to the environment, namely the production of an increasing quantity and complexity of wastes. The estimated quantity of Municipal Solid Waste (MSW) generated worldwide is 1.7 – 1.9 billion metric tons. In many cases, municipal wastes are not well managed in developing countries, as cities and municipalities cannot cope with the accelerated pace of waste production. Waste collection rates are often lower than 70 per cent in low-income countries. More than 50 per cent of the collected waste is often disposed of through uncontrolled land filling and about 15 per cent is processed through unsafe and informal recycling. Increasing with the population of the state is not just the waste generated but the cost of handling it and this underscores the need for more efficient and enduring system of solid waste management. While they might have served their purposes, the PSP operators leave a yawning gap in the effort to keep Lagos Streets free of refuse as experience has shown that they lack both the financial and technological capacity to cope with the waste challenge in the nearest future. The import of the foregoing is that the system of solid waste management that yields to inadequacies in the collection, transportation and disposal services is not sustainable and cannot on the long run support the vision of a clean, secure and more prosperous Lagos State. Hence, the emergence of the Cleaner Lagos Initiative as a new model to address the observed shortcomings in the state’s solid waste management sector is welcome. Precipitating the change initiated by the Administration of Mr. Akinwunmi Ambode was the need to inject technology, fund and international best practices in the management of municipal waste to replace the old order of haphazard waste collection services, caused by low technology input into route optimization; poor coverage, especially for hard-to-service areas; environmentally degrading and social nuisance-causing dumpsites; poorly managed dumpsites infested with unsightly scavenging and criminal activities; and low cost-recovery for operators due to poor billing solutions. The new system, encapsulated in the Cleaner Lagos Initiative, subscribes to Ernest Agyemang Yeboah’s maxim that: “If you want to feel the sunshine, change position!” as it offers not only waste management solution through a concession arrangement with a major player in the municipal waste management business, Visionscape Sanitation Solutions(VSS)but also has incorporated into it other components such as highway and street sweeping, job creation, development and management of sanitary landfills and Transfer Loading Stations. The dumpsites are no help either. It is a fact that they have all passed their primes with hardly any platform left for dumping of refuse. Olusosun dumpsite, for example, is over twenty-five years old and like most of its ilk, this dumpsite and others in the state are not sustainable as they are not in line with modern trends in solid waste management which supports the development of sanitary landfills that are safer as they are sites where waste is isolated from the environment until it is safe. In line with this reality, the state government has earmarked the various dumpsites in the state for phased closure and planned for the development of landfills in strategic locations in the state. It is in this regard that Lagos State has embarked on the development of the Epe sanitary landfill through the Visionscape group. There is also the behaviour issue that is typified by the slow embrace of the three R’s concept of Reduce, Reuse and Recycle of waste which hold the key to conserving the environment as they help to cut down on the amount of waste we generate and throw away. This concept presupposes that by working on their life style to reduce waste, the people are able to support a system that conserves natural resources, save land and money that would be used to dispose waste in landfills- if there is less waste, there is less to recycle or reuse. Closely related is the poor attitude to sorting and bagging of waste, and preference for indiscriminate dumping of waste, thereby magnifying what ordinarily would have passed for a transitional hitch. For instance, in an effort to mop up blackspots, Visionscape had carted away over 80,000 tons of waste in more than 1000 illegal dumpsites across the state within a period of six months. The figure will be staggering by the time the intervention efforts of government agencies are added. Thus, filling the Knowledge Attitude and Practice (KAP) gap is also very important especially in our clime where many are still flippant in their treatment of the environment. Whereas, the environment being key to healthy, secure and peaceful living is so important that all stakeholders must pay close attention to it. Therefore, the Lagos environment requires more change agents to rise in championing the cause of sustainable environment by spreading the message of good sanitary behaviour among our people in their various communities.